Rentals available at the Lake House. Detectives with the Garrett County Sheriff’s Office investigated the death of a Pennsylvania man that occurred at Herrington Manor State Park. 5½-mile trail that runs between Herrington Manor and Swallow Falls state parks. Detectives with the sheriff’s office and the Department of Natural Resources, and a forensic investigator with the Medical Examiner’s Office responded to the scene. Caruthers was a Westmoreland County assistant public defender. Preliminary results of the investigation revealed that he apparently died of natural causes while bicycling the trail. The body was sent to the State Medical Examiner’s Office for an autopsy. We just finished up an all you can eat buckwheat (and pancake) breakfast at Herrington Manor State Park. 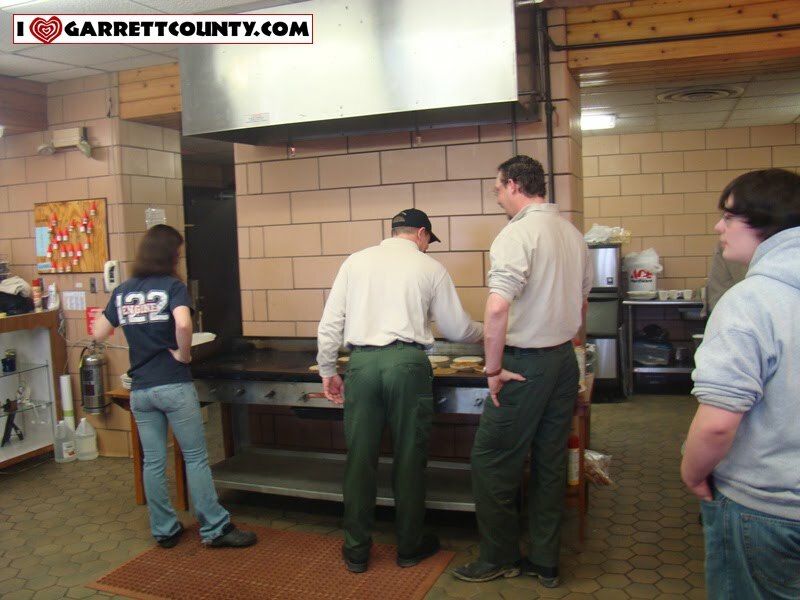 We got to see exactly how to harvest fresh Garrett County maple syrup from start to finish. There were maple trees, sap buckets, a boiling vat on a wood stove and then the finished product – warm, sticky and sweet (amazingly sweet) Garrett County maple syrup. I didn’t realize this until reading the article in the Washington Post about our maple syrup, but the everyday table syrup we use is about 2% maple syrup and then watered down. What we had today was 100% maple syrup – and you could tell the difference. Local Boy Scout Troop 1 was there volunteering, cooking the food and serving It was surprisingly crowded, too, so I am sure they were pleased with the turnout. I have a photo gallery below of some of the photos.